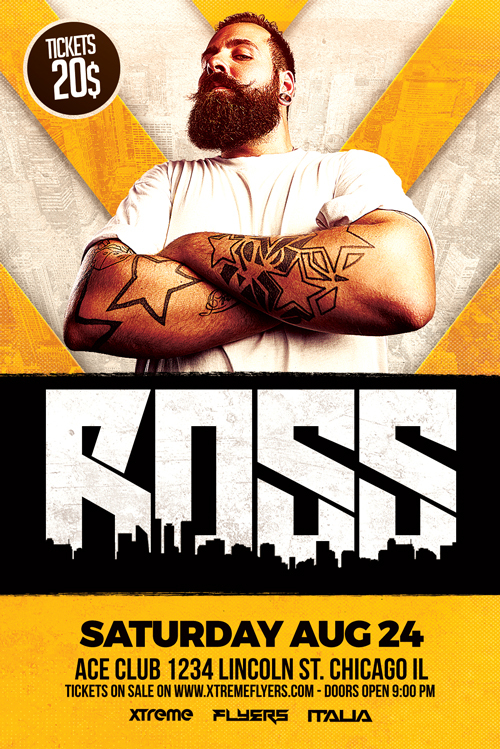 Ross Club DJ Flyer Template PSD was designed to advertise any kind of event related to a DJ Performance in a Club / Bar / Pub. If you are looking for an outstanding design to promote a DJ event, this one is indeed a valid choice among our templates. The grungy background was blended with the picture of a city. 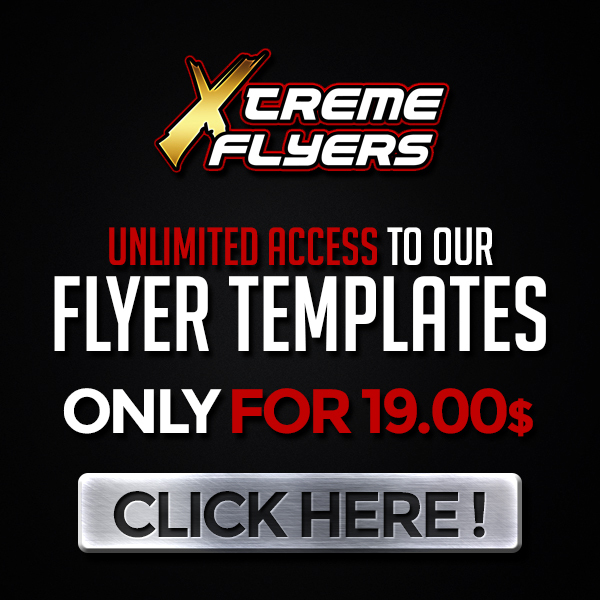 The lightnings, the effect applied to the main text and the overall adjustments, make this flyer template one of a kind.